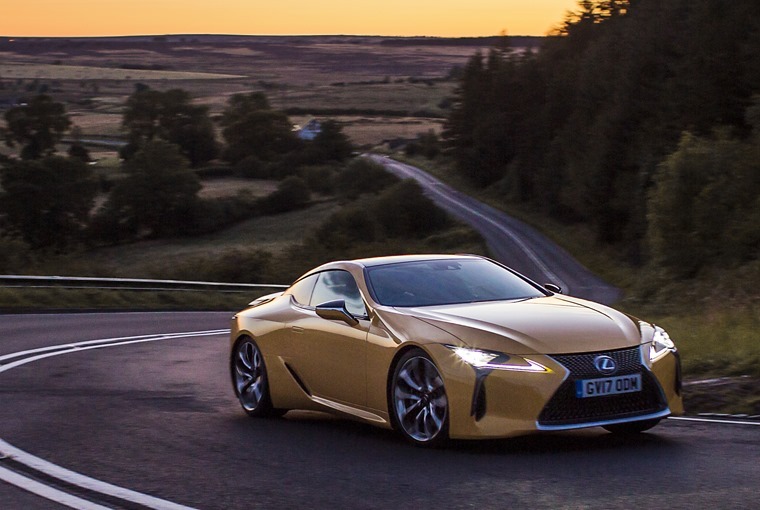 In V8 form, the Lexus LC 500 hasn't just got its foot in the door of an exclusive club – it’s earned a place at the top table. A luxury item to treasure. 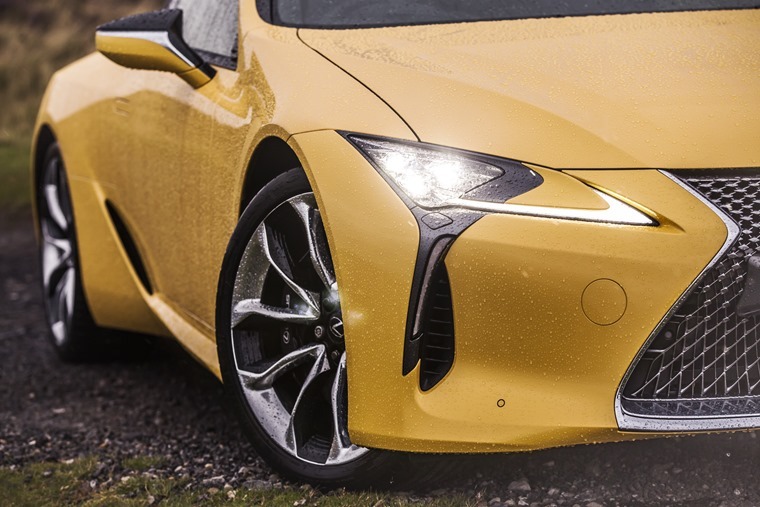 Lexus has knocked on the door of greatness in the sports car world before, but the door has never fully opened for this Japanese manufacturer until now. 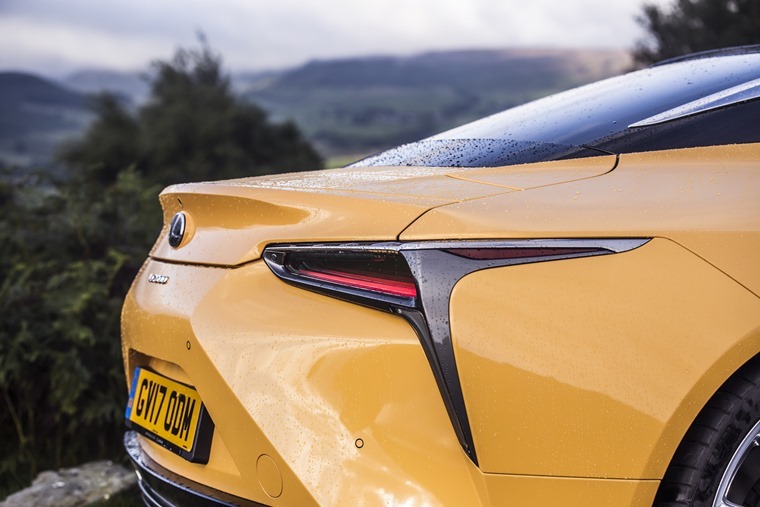 The RC is good and the exotic, expensive and limited edition LFA brilliant, but it’s taken this superb LC to get over the threshold and rival the likes of the Porsche 911, upcoming BMW 8 Series and Mercedes-AMG GT. What’s changed for Lexus to bring about this acceptance? 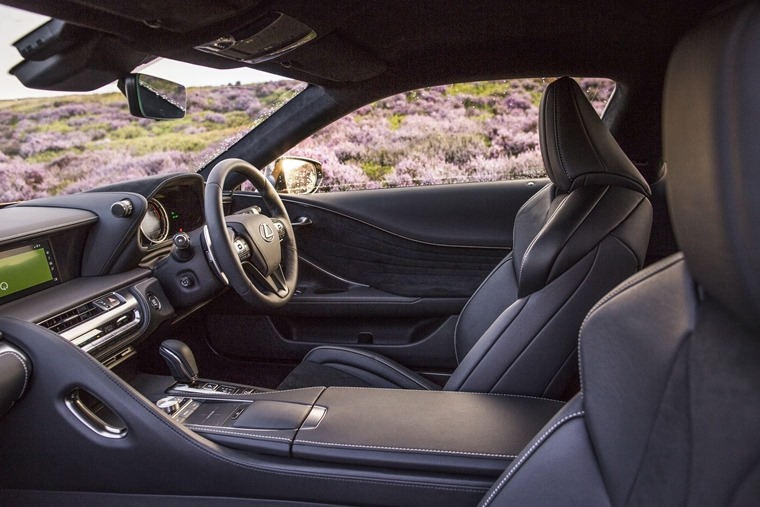 You could argue it’s down to a process of development and refinement not only of the vehicles but of the company’s philosophy and design direction. For long enough, we’ve known Lexus cars to be extremely well engineered but a little, well, soulless. The way the roof line sweeps up from the windscreen pillars and over the cockpit is a real treat. That notion was blown away by the LFA and it’s no coincidence the LC shares more than a passing resemblance to its famous forebear. The sleek side profile is pure coupe and the way the roof line sweeps up from the windscreen pillars and over the cockpit is a real treat. The you step round to the front and that pursed grille shape tells you this could be nothing except a Japanese sports car. It’s accentuated by the headlight design and all comes together wonderfully to create a car that has passers-by staring to see what this car is. At the rear, it’s equally dramatic and this is also the best place to appreciate the noise from the 5.0-litre V8 which is the engine enthusiasts will want every time. It’s a joyous eruption that emits from the tailpipes when you prod the starter button and Lexus has used acoustic engineering to make sure plenty of it gets through the cabin when you rev the motor hard. Opt for the LC500h and you get a 3.2-litre V6 petrol engine and electric motor hybrid combo. It’s a far more muted affair, though it does have the benefit of costing exactly the same as the V8 and delivering 43.5mpg coupled to 148g/km carbon dioxide emissions. The V8 offers 24.6mpg and 263g/km. The hybrid is muted in other ways than simply the noise it makes. Yes, it offers reasonable running costs, but few will worry about that in a sports coupe with a list price that heads north from £76,595. 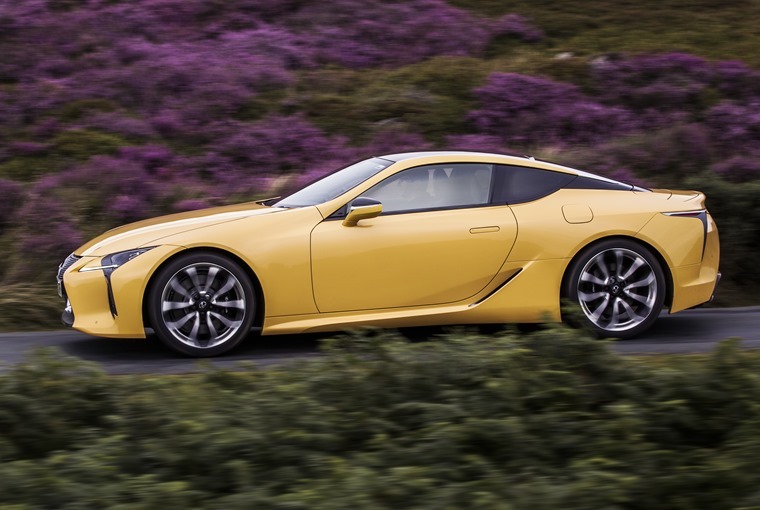 The V6 engine doesn’t give the same aural thrills and nor does it live up to the looks of the LC in its pace. Yes, it’s quick, but it’s not sensationally or excitingly so. We wouldn’t discourage anyone from choosing the 500h version, but we would actively recommend the V8 model. The V8 blisters the tarmac as it heads from rest to 62mph in 4.7 seconds. One reason for placing the V8 well above the hybrid is the way it works through the 10-speed automatic gearbox. Where the hybrid can be a little jerky, the V8 smooches from one ratio to the next. On UK roads, the bulk of the fun is in gears two to five, with the upper half of the cogs reserved for relaxed cruising. Steering wheel paddle shifters let the driver do the work or you can leave the ’box in auto mode. Either way, the V8 blisters the tarmac as it heads from rest to 62mph in 4.7 seconds. 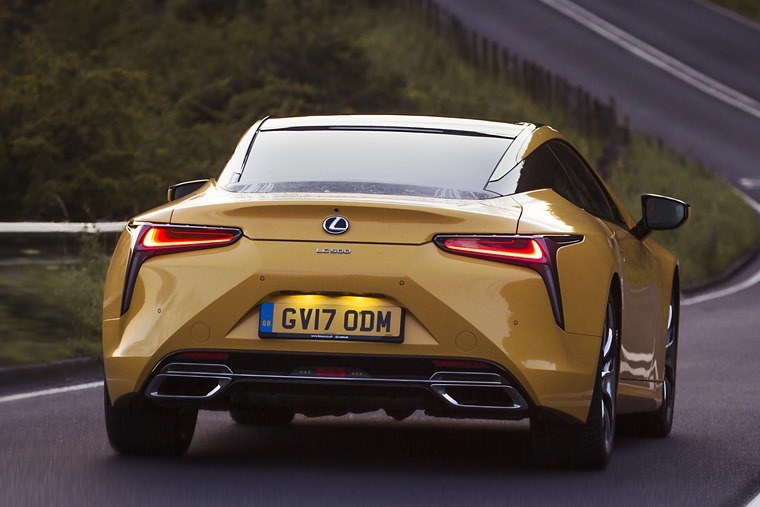 Maybe that’s not outlandishly fast in today’s world of saloon cars that can cover the same sprint in less than four seconds, but the it’s the way the Lexus carries on from there that impresses. The engine has 477bhp at a giddy 7100rpm, so you enjoy working it hard. That blends ideally with the driving ethic of this coupe: it can saunter when conditions require it to, but it loves to be let off the leash. It’s not perfect in either scenario because the suspension is too firmly set to cope with the UK’s mottled roads. Too many pittery sensations can be felt as you drive along that just wouldn’t be noticed inside a Porsche 911. However, there is a pay-off. The handling of the LC is up with the very best in this sector. A simple front-engined, rear-wheel drive layout helps here and the engine is mounted well back in the frame to offer an ideal balance. The handling of the LC is up with the very best in this sector. 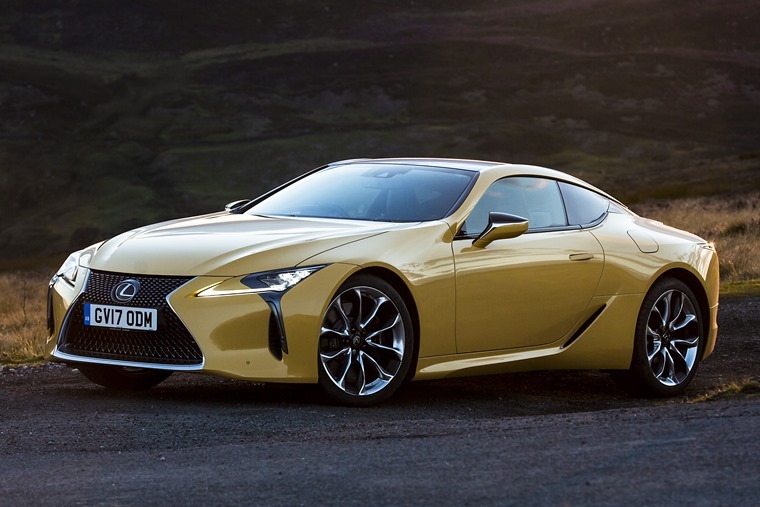 However, Lexus has gone much further than that to come up with a car that has huge amounts of grip that can be used to full effect courtesy of the feedback from the steering and adjustability of the chassis. There’s a small amount of body lean, but it serves more to let you know how hard you’re pushing than discourage any fun. You’ll also find the brakes are more than up to the job of slowing the LC time and again. Holding the driver and front passenger in place while all of this is happening are superbly supportive seats. If you opt for the Sport or Sport Plus packs, you get extra side bolsters. In standard form, the seats are plenty good enough and the detailing throughout the cabin is a delight – there’s even an electric motor to operate the glovebox. Not needed but a pleasure to use and shows the depth Lexus has delved into to make this car a luxury item to treasure. The driving position is spot on, the gauges easy to read and even vision out of the LC is good for this breed of car. What we’re not so keen on is the infotainment set-up. Lexus has struggled with this for years yet refuses to adopt a simpler system. It’s too fiddly and also too easy to nudge a button when using the gear lever. The display screen itself is well positioned, but that’s a small positive here. The rear seats are best viewed as extra storage to augment the small, shallow boot space. As for the rear seats, you might just squeeze a couple of kids in there when required, but they’re best viewed as extra storage to augment the small, shallow boot space. Still, these are minor gripes in a sports coupe of this type. Setting aside our complaints about the infotainment, the LC has not just got its foot in the door of this exclusive club, it’s earned a place at the top table.